The collaboration between Kansas bassist/vocalist Billy Greer and former City Boy guitarist/producer Mike Slamer goes back to when the pair joined the Steve Walsh-fronted Streets back in 1983, with the duo eventually forming Seventh Key in 2000. The debut album was superb, the 2004 follow-up ‘The Raging Fire’ even better, but after the 2005 live album and DVD ‘Live In Atlanta’ the band took a back seat as perfectionist Slamer concentrated on his solo project, TV and film work and the occasional album by the likes of Terry Brock and Chris Ousey. 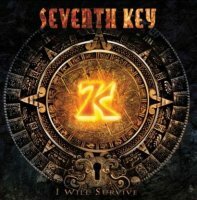 Thankfully the pair have found time to put together the third Seventh Key album, and it should come as no surprise that it’s another flawless collection of magical tunes. The beautifully arranged upbeat AOR of the previous albums is well represented by the instantly memorable ‘Lay It On The Line’, the sublime ‘I See You There’, ‘When Love Sets You Free’s soaring melodies and the controlled urgency of ‘The Only One’, amongst others, each one augmented by Slamer and Greer’s distinctive instrumentation and Slamer’s formidable production experience. Add in Billy Greer’s excellent vocals, David Manion’s additional keyboard flurries and the rich vocal harmonies of Billy Trudel, Bobby Capps and the inimitable Terry Brock and you have a wonderful cocktail of memorable melodic rock. If that isn’t enough, some of the highlights come from Greer paying homage to his Kansas connections, bringing in his band-mate Dave Ragsdale to add his awesome violin to the pompy opening title track (check out that extended instrumental section with its breathtaking synth, guitar and violin parts! ), and the similarly prog-tastic ‘I Want It All’ is pretty eventful too. ‘Sea Of Dreams’ tips its hat to ‘Dust In The Wind’ and manages not to pale in comparison, whilst the piano-led power ballad ‘What Love's Supposed To Be’ is another emotional peak that benefits from Ragsdale’s tasteful skill. ‘I Will Survive’ is yet another testament to how well the Greer/Slamer partnership works, there’s really not a single second of this album that doesn’t scream quality. 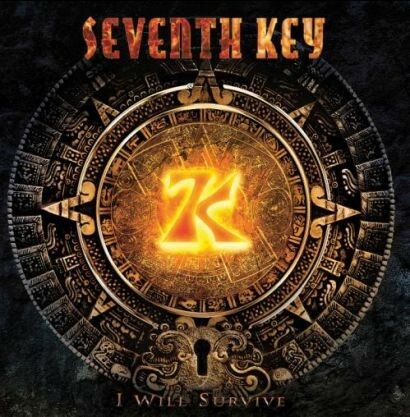 It’s the best album Seventh Key have made so far, which is really saying something!